Thinking back on all the times as a kid I went to a friends house to play basketball, football or soccer, I mainly remember just playing a lot. Looking back on it now I wish I would have done more technical training, instead of just playing. If you want to improve your soccer skills, you need to work on your own doing the right things. We would only play [scrimmage], never train. I want to help today’s kids understand that if they take advantage of their time, they will improve faster and in the end be better. For those who like to improve and work on their own with family or friends, I have some good tips for you below. 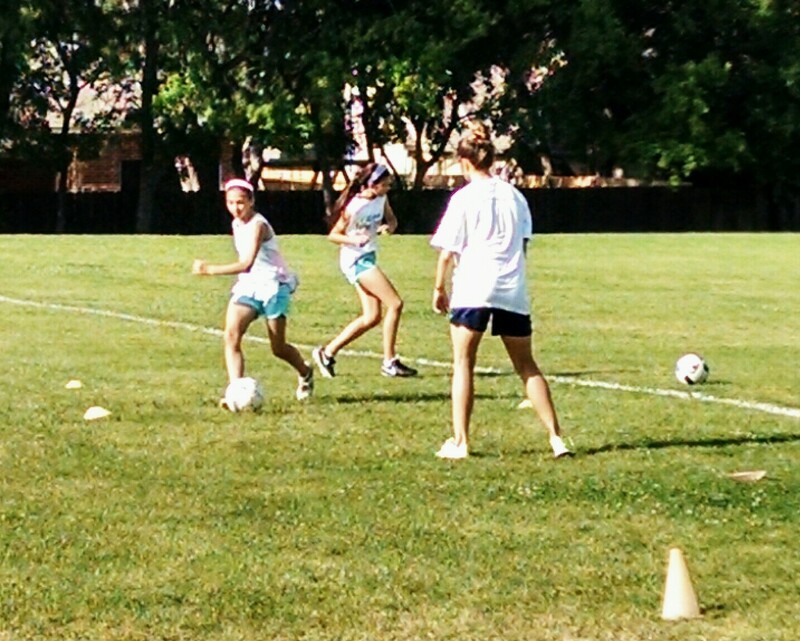 These tips will help parents save money on soccer training vs. private lessons. Passing back and forth using many different ways; you can work on your 1 touch passing from different distances. Start off passing from 5 yards away trying to connect perfect. Make sure your form is correct. Most of these passes you will have your toe pointed up, but if the ball gets too wide or takes a unexpected bounce you might need to adjust and pass with the inside of your laces. If you want to work on redirection then you can use a goal or cones for the target. The thing about this is that you will need a bag of balls, so that you can get more reps in a small amount of time. You don’t want to be running back and forth gathering balls. With small groups of 2 of two players, a trainer can make a 3rd which calls for tons of first touch, passing and finishing. When I have a group of 2 players one of my favorite drills is a high rep finishing drills. I start with a pile of balls and at the corner of the six yard box. Across from me is Player #1 who I pass a ball to. Player #1 sets [passes] the ball to the player #2 who shoots [scores]. To improve aerial control, I will also toss balls at player #1 who then has to set a bouncing ball. This is usually a volley from both players. At first the players are unsure, but then you see them start to improve with more reps.
With one ball get in a triangle about 10 yards apart. You and your partner’s [parent, friend or sibling] can pass the ball back and forth freely to either player. Then get some proper training [more organized] where you have one players receive every time from the other two. With this you can work on only using 1 touch as the ball comes across you body. After all 3 players do that you can make it to where you pass with your front foot instead of your back foot. This will give you at least 3 different options: a push pass, getting some bend and the last, almost cut it back across your body. Then purposely work on 2 touches. With this you can train for at least 20 solid minutes. One of my favorite drills is to get 2 soccer balls with 4 players and redirect the pass. Either one the ground or in the air have the 3 players only pass the ball to the 1 player who calls for it. The 1st player [or player going] will most of the time redirect the pass, but is allowed to pass back to the person who gave them the ball too. This helps to mix it up and keep it from being so predictable. This is a drill that will improve your vision and reaction along with your passing skills. With even numbers you can also do competition drills with your buddies or teammates. This always brings out the best in everyone which raises the overall skill level. Use your imagination and adapt anything you read from my post. Passing on the ground or in the air are skills you want to practice. Once you get a group of 5-8 players you can really get going on some cool passing drills. A basic drill that even pro players work on would be the square passing drill. Get 4 cones or training sticks, making a square, and have a player 3 yards outside of each cone. In this work on your first touch passes and then work on two touch so that you can improve your first touch [trapping skills]. To make it more game-like, add some pressure by making one or two of the five players a defender. You can also turn this into a triangle pattern only using 3 cones, instead of 4. To improve your soccer skills you must never ignore the basics. Try to be perfect with everything you do in these technical drills, don’t just go through the motions. Other drills when you have 5+ players are monkey in the middle. For some reason there are people who dog on [make fun of] monkey in the middle, but those people just don’t get it. If you watch a Barcelona training session you will see them do this almost every single session for at least 10 minutes. Monkey in the middle is one of the best drills to improve players precision passing under pressure and increase vision. In an actual game players make mistakes usually because they panic with the ball. Keeping the same drills or mixing it up? This is a great question that many coaches wonder. In my experience you have to educate the players so that they don’t get bored with the same drills. To improve your soccer skills, keeping certain drills the same is key for development, but you also have to switch things up. Two reason you want to switch things up is number one the players will get bored and number two there is so much to teach and learn that you shouldn’t run the same practice more than 5 times per year. That’s 10% of the calendar year, so you can’t keep doing the same things. There are certain elements that you need to always work on but change it up at least a little. When it comes to dribbling or controlling the ball at your feet you need to be comfortable using different parts of the feet. When you are just learning the skills it’s so much easier to learn and teach when the group is small. Smaller the better! Once the players know it you can work on dribbling with groups as large as 20+ players. Some people would say you need to be good at using both feet, but I will argue that you don’t have to be. Some of the best players in the world [especially left footed players] are amazing with using pretty much 1 foot. Messi, Di Maria, Robben are 3 players that come to mind that are all left footed players, who rarely use their right foot. At the same time you are not those three players, so go ahead and work on dribbling with both feet. 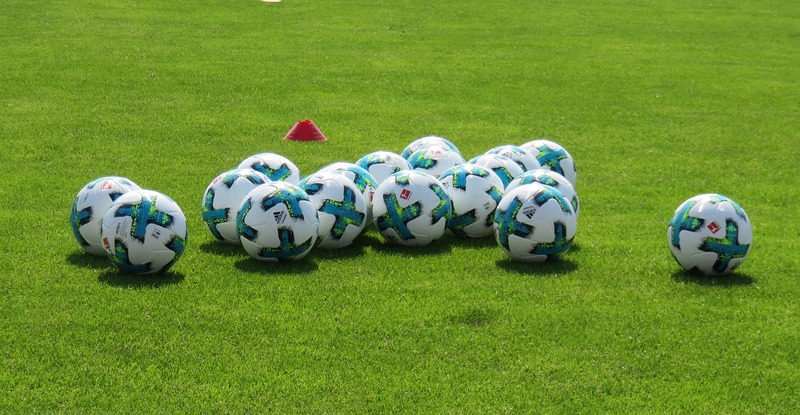 If I were to be entered into a competition against other trainers to improve lets say a soccer robot, I would use these proven ball control methods, which I developed after working full time as a private trainer for 10 years. Even though I experienced 17 countries as a pro player I would not have known what to teach 3 years into being a full time soccer trainer. Even the 2 players mentioned above would not know what a 7 year old or a 13 year old needs to work on. To be fair, those 3 players were born to dominate the best pro defenders, so it came natural for them. I personally wasn’t natural at this stuff, I was just big and fast. Once I started working on my ball control on my own is when my game changed. Think about all the different age group, levels, commitments, personalities in sports. Now with all this there comes teaching and learning all the many technical skills, tactics and learning to work with and against other people. From an early age on if you can put all the pieces together one piece at a time it will all come together nice. When you have time to develop you can almost perfect the basics, which raise your game forever. When working in small groups you can get all the individual attention needed to correct mistakes early. This way you can then get it right and move on to other elements of the game. If the players need mostly technical work then you can partner them up in groups of 2-4 with 1-2 balls depending on what you work on. Short passing, long passing or finishing drills can all be done in these small group numbers. Long passing or shooting is something I focus on in privates or small groups of 2. 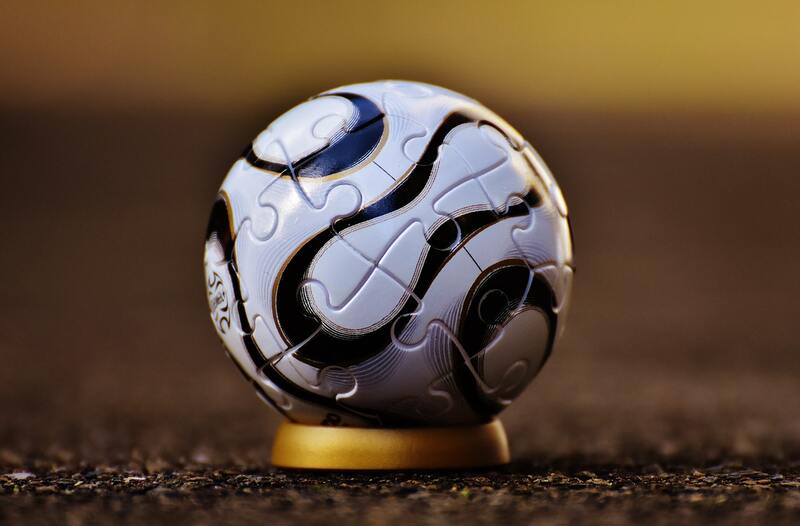 There are so many details to get the right technique down, which can be frustrating to the players and even coaches sometimes. Imagine working in a group of 16+ players with only 1 goal to shoot on. Now imagine working with a group of 2-7 players getting so many more reps [shots, turns, passes] and different skills you can work on with no lines [standing around]. We all know that doing the important things over and over will make us better. So to improve your soccer skills make sure you are spending time wisely, by getting tons of reps and different 1st touch and passing skills.